Moorlands - a Memory of Ashtead. We lived at Moorlands in The Marld, Ashtead, around the years 1948 to 1952. It was a large house with a very large garden and orchard. There was also a tennis court. I can remember being sent to the upper village to have the battery for the wireless recharged at the hardware shop and also hurling apples at any boys who came too close to our fence. At the top of The Marld was a ruined house that we were convinced was haunted. We dared each other to open the door and run upstairs. I wonder if it is still there or whether perhaps it has been done up and the present owners are unawares that they are living in a haunted house? 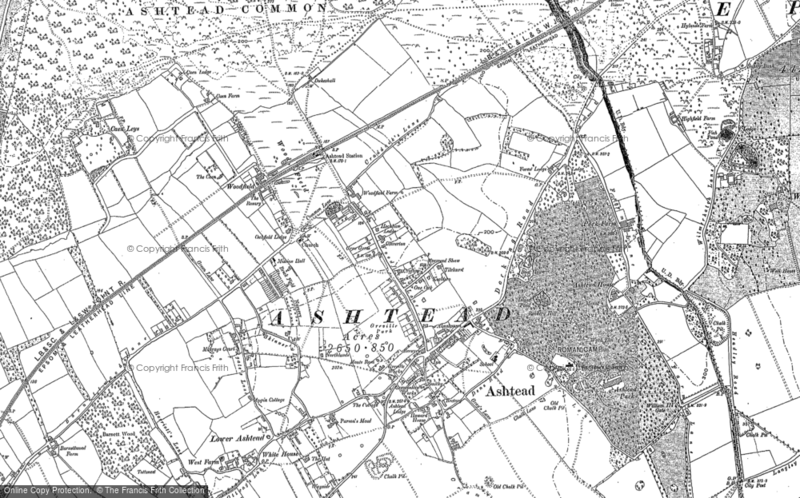 I remember Ashtead as being a carefree sort of place to live with loads of places to walk and explore. There was a park at one end and large woods in the lower village on the other side of the railway. My brother Tony, who unfortunately died a couple of years ago, found a lovely smooth prehistoric axe head in Ashtead Woods but I believe my father gave it to some museum or other. I fell in love with a very pretty girl called Jennifer who lived in Woodfield Lane, but I was only ten at the time. I do remember the winters as being very cold and also having to give ration tokens for sweets on a Saturday. I went to a small school for a while, I think it was called Ryebrook on the other side of the recreation ground, but I can't remember the names of any clasmates. Happy days. Would be great to hear your other recollection of those times. You must be signed-in to your Frith account to post a comment. Sign-in or Register to post a Comment. Add a memory of Ashtead.